Happy Pub Day, Dawn Raffel! Out today... The Strange Case of Dr. Couney: How a Mysterious European Showman Saved Thousands of American Babies! The extraordinary tale of how a mysterious immigrant "doctor" became the revolutionary innovator of saving premature babies--by placing them in incubators in World's Fair side shows and on Coney Island and Atlantic City. How this turn-of-the-twentieth-century émigré became the savior to families with premature infants, known then as "weaklings"--while ignoring the scorn of the medical establishment and fighting the climate of eugenics--is one of the most astounding stories of modern medicine. And as readers will find, Dr. Couney, for all his opportunistic entrepreneurial gusto, is a surprisingly appealing character, someone who genuinely cared for the well-being of his tiny patients. But he had something to hide. 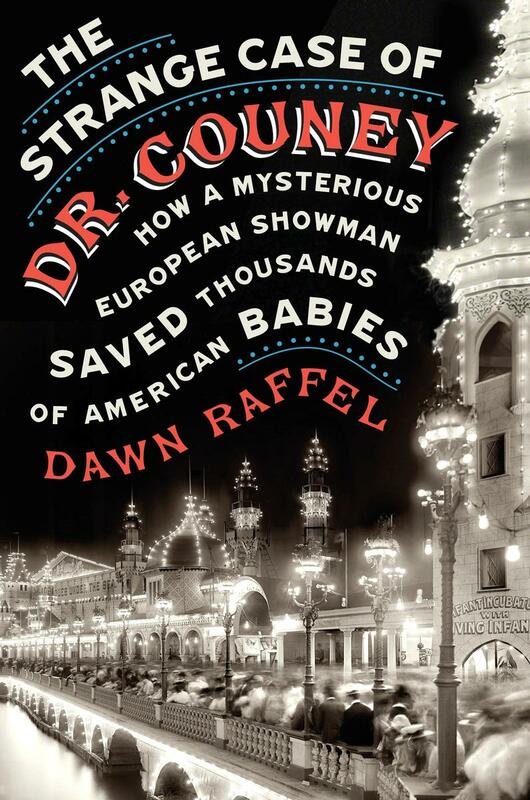 Drawing on historical documents, original reportage, and interviews with surviving patients, acclaimed journalist and magazine editor Dawn Raffel tells the marvelously eccentric story of Couney's mysterious carnival career, his larger-than-life personality, and his unprecedented success as the savior of tiny babies. Buy your copy here! Interested in hosting Dawn for an upcoming event? We're working on her Fall 2018 and Spring 2019 schedule now - get in touch with us today!